Looking to add a bright feature to your home interior? 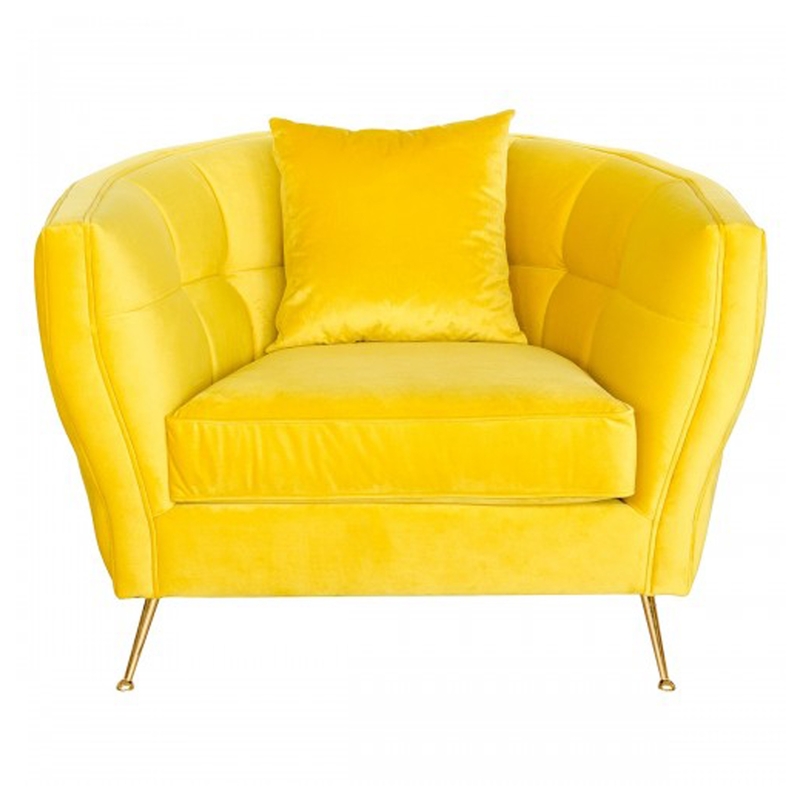 Introducing the newest addition to our collection this beautiful Patrice Yellow Arm Chair. In a bright yellow colour and made from fabric this arm chair is topped off with golden legs. Hand crafted to the highest quality it's ensured to last a lifetime and become a focal point of any room.